(TibetanReview.net, Oct12, 2014) – In order to exercise direct police control over its monks, China has built a large police station, complete with a detention centre, near a monastery in Zungchu (Chinese: Songpan) County of Ngaba (Aba) Prefecture, Sichuan Province, reported Radio Free Asia (Washington) Oct 10. Monks of the early 14th century Muge Monastery, having 300 resident monks, now must take permission from the police station for all their monastic activities as well as their travels. The 72-room police station, located about half a kilometre from the monastery, is currently manned by some 20 police personnel. 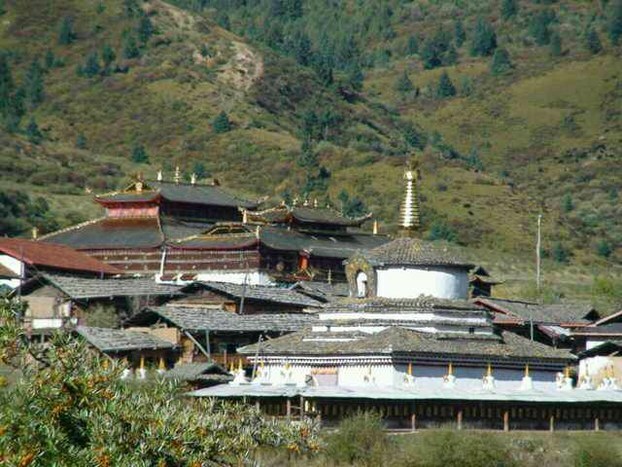 The station is said to have enough facilities to accommodate Chinese cadres who may be sent to conduct political education and other kinds of campaigns in the monastery. The authorities had planned to build the police station after the 2008 protests which swept much of the Tibetan Plateau and in which monks of Muge Monastery were prominently involved. The monastic authorities tried to prevent the police station from being built and managed to delay the work for several years. However, in 2013 the authorities began building the police station and have now completed it.